These playful earrings are a conversation starter. Unique design places flower stem through the back of the ear. 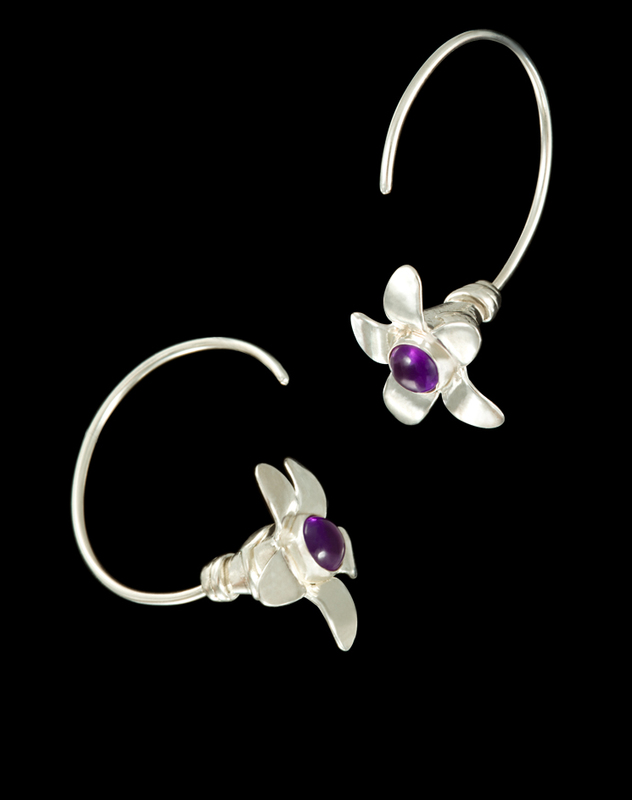 Hoop shape naturally balances the flower, wrapped with a delicate vine, and set with a 5mm gemstone. Image shown with Amethyst Cabochons. Stones available in both cabochon and faceted options.